Apr. 30, 2018 2:45 p.m.
Amanda Stehelin was surprised at how quickly the signs went. When she opened the gates at Robert Service Campground for a garage sale on April 28, she didn’t expect the park signs to be such hot sellers. “I had about six or seven of them and they’re all gone. I was like, ‘You really want to buy that?’” she laughs. By the end of the day, around 3:30 p.m., there are two signs left. Earlier in the day, there were roughly 200 people poking around. Now, a couple latecomers mill about the tables Stehelin and her husband Bernard spent the previous week organizing. The tables are lined with flashlights, pots and pans, winter boots and bike helmets. A stack of National Geographic magazines sits beside a copy of Fifty Shades Darker. People have removed the various pieces of the former playground. Stehelin has her fingers crossed someone will just show up and haul the rest away. She and her husband have run the campground for more than 20 years, but when the lease expired in 2017, the City of Whitehorse decided to take over operations. 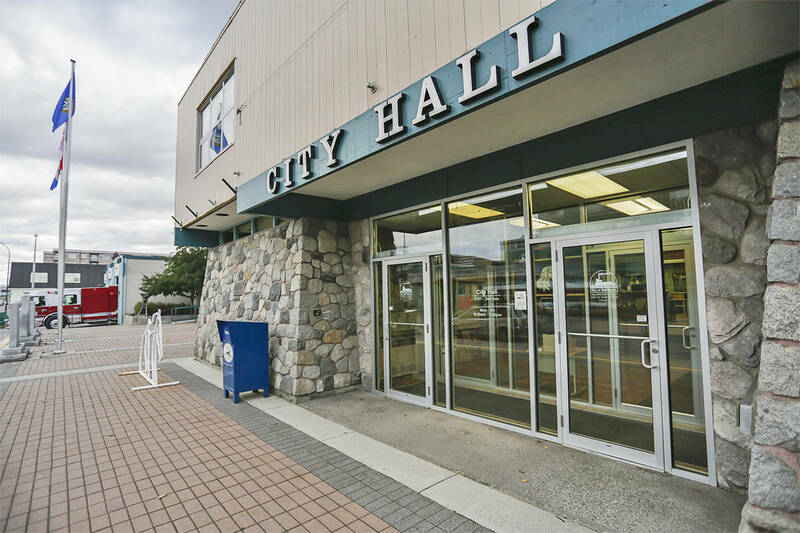 The city has told the News that it plans to retain the rustic charm of the campground while updating some of its infrastructure in the coming years. Stehelin, who was born and raised in the Yukon, says the change is bittersweet. When she took over from the city in the ‘90s, she says there was one building, with a picnic table and a lightbulb. She built a lot of the infrastructure, including the “living room” where guests liked to hang out and enjoy the coffee and ice cream sold by the campground. She and Bernard will have plenty to keep them busy this season — he runs Amber Airways and a wilderness fly-in fishing camp, and they have four kids under the age of 12. Still, the whole family loved running the campground. In fact, Stehelin’s six-year-old had to go home partway through the day because it was just too much for him. What could be more fun than the campground, he asked her. As Stehelin chats with someone who wants to buy the espresso machine, her daughter yells from the edge of the parking lot. She says she’ll miss the mix of people most of all — the retirees from Whitehorse who visited the campground to have a cup of coffee and chat with 20-year-old German backpackers; the European millionaires who slept in tents because they’d come to the Yukon for a rustic experience; the trail runner who, for 10 years, stopped in mid-run for ice cream. “That’s why I use the slogan ‘the local and the globals’ because I really felt strongly that they were meant to mingle. And we’ve had a really huge strong showing for that,” she says. Not only that, the campground is the starting point for a lot of people who are still in Whitehorse. The morning of the sale, she says someone came by who had stayed there for the first time in 1997. Stehelin remembered his site. She says her family is grateful for the community’s support of the campground over the years. The campground will re-open on May 18.